Alfred Dubucand was a fine sculptor and his Animalier works rank among the best of this genre. His horses, dogs, and birds are his best work. 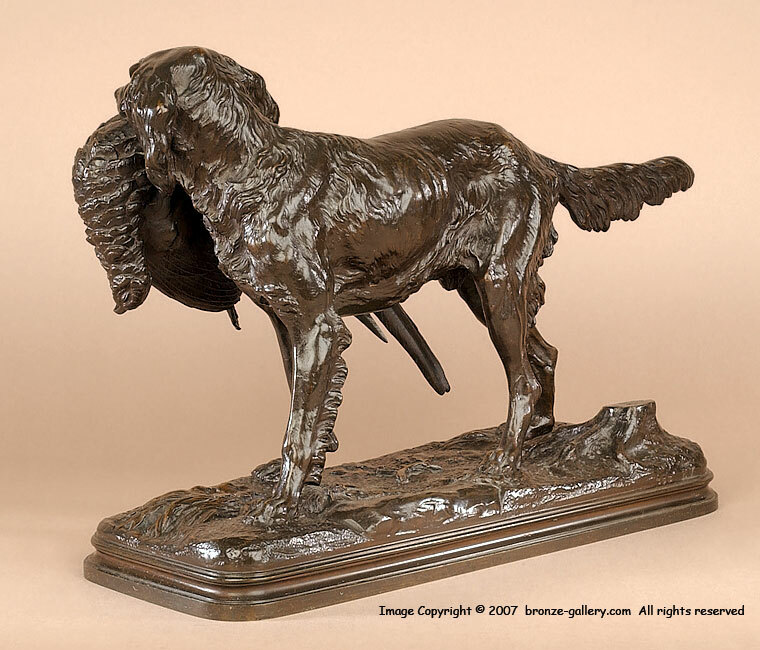 Bronzes of hunting subjects were very popular in the 1860s and this Setter carrying a Pheasant would have decorated a dining room or library. It is a fine portrait of a working Setter retrieving game for his master. 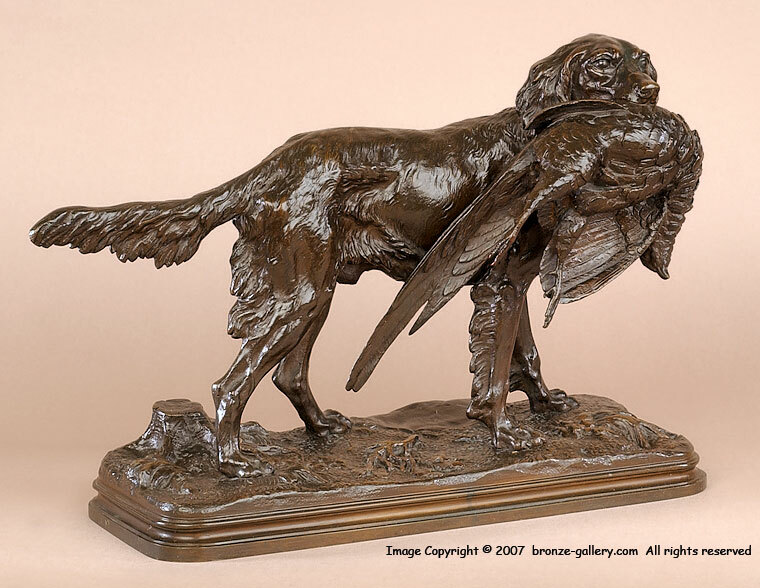 Dubucand cast this model in two sizes, this is the larger size and shows great detail in the fur of the dog and the feathers of the Pheasant. It has the foundry marks of EV 235 stamped on the base and has a rich dark brown patina. 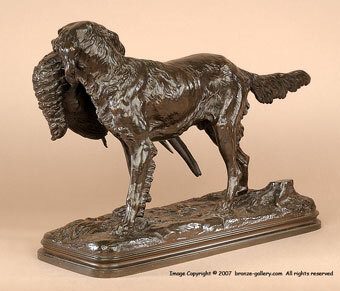 A wonderful large piece for a hunting enthusiast or setter owner.